To celebrate reaching 2 million Instagram followers, Mercedes-Benz USA posted three special photo designs that feature the G-Class, CLS and GT models earlier this month. Each “M(illion)osaic” mosaic design is comprised of fan photos that have tagged MBUSA throughout the years. Strategy and creative were handled by R/GA (Austin and New York). A team made up of a developer, writer, visual designer and producer transferred data and wrote code, then used a mosaic-generator tool to customize the photo design in less than a week. The agency wanted to celebrate the milestone by creating “something very much in and of that moment,” says Michael Stoopack, managing director client services, R/GA. “Which meant identifying the most popular visual designs and using a priority process to pull data and develop the final mosaic artwork in just the few days leading up to 2 million,” Stoopack tells Marketing Daily. Twenty four hours after launch, the mosaic designs had already garnered upwards of half a million impressions and counting. To date, each mosaic photo post has garnered around 200,000 impressions, which is on par with other MBUSA Instagram posts. 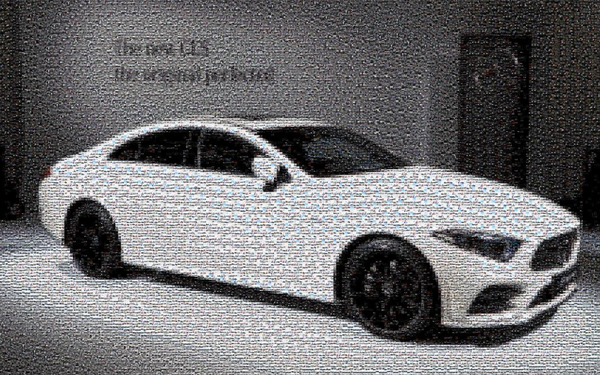 One post features the Mercedes-AMG GT 4-door Coupe while two others feature the 2019 G 550 and 2019 CLS.